So this Saturday i went back to Weightwatchers meetings. As I've said many times before i have lost 3 stone in weight altogether but i can feel myself letting things slip again. 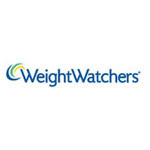 So i decided to take action and this week i went back to Weightwatchers for the first time in nearly 12 months. I absolutely loved being back there! It was my old leader taking the meeting who i absolutely loved! I weighed in at 10 stone 3lbs, which is quite a gain but can be rectified. I got the Discover Plan Handbook and i bought myself a bumper pack with a Shopping Guide, Eating Out Guide, A Tracker Journal, A Points Calculator and a Tape Measure. All of this for under £20! Absolute Bargain. The new Discover Plan is basically the new version of The Points Plan which is what i used to follow before. Im now allowed 19 points per day. I bought the monthly pass version of the membership which is £17.95 per month and i get free esource, which is the Weightwatchers online site which is absolutely AMAZING! I also got a free cookbook! Overall im feeling really positive, My goal has been set by my leader for 9 stone which i think is realistic and achieveable. thanks :) weight watchers is good!